As I look over the prints I have done in the last year, I keep trying to see if they create a body of work that meet the “cohesive” criteria of the California Society of Printmakers. So far the answer I keep coming up with is no, they are not cohesive. 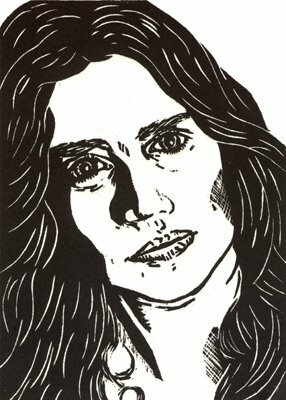 My goal has been to illustrate the respective poems to which each print is attached, and for some reason, even though the subject matter of each print is a woman’s face, the prints seem to me to be to stylistically diverse to be cohesive. So what makes a body of work “cohesive”? Is it style? subject matter? size? technique? all the above? some of the above? none of the above? And if ekphrastic poetry is poetry based on an art work, what is an art work that is based on a poem called?